Professor Severus Snape (9 January, 1960 – 2 May, 1998) was a half-blood wizard who was the son of the witch Eileen Snape (née Prince) and Muggle Tobias Snape. During his lifetime, Severus Snape was Potions Master (1981–1996), Defence Against the Dark Arts professor (1996-1997), and Headmaster (1997-1998) of Hogwarts School of Witchcraft and Wizardry (which he attended as a student from 1971 until 1978). He was also member of the Order of the Phoenix and played a very important role in both of the Wizarding Wars against Lord Voldemort. Despite Severus Snape's wizarding heritage, he was raised in the Muggle dwelling of Spinner's End, which was in close proximity to the home of the Evans family. He met Lily and Petunia Evans when he was nine, and fell deeply in love with Lily, becoming a close friend of hers. In 1971 he began his first term at Hogwarts School of Witchcraft and Wizardry where he was sorted into Slytherin. This put him in the same year as his true love, Lily Evans. Severus became the immediate enemy of James Potter and Sirius Black and was a frequent victim of their bullying. Snape developed a passion for the Dark Arts at a young age, and had followed the pure-blood supremacists in Slytherin House, despite his own marred pedigree and his love for Lily, a Muggle-born. This put his friendship with Lily under great strain. After leaving school he joined the Death Eaters along with a large group of his fellow Slytherins. Severus was made a member of the Slug Club, presumably because of his brilliance at potion-making, and Horace kept a picture of him as a student, clutching his copy of Advanced Potion-Making. Despite this, Horace did not have many hopes for Severus' future, as his photograph was kept behind many others. Shortly before Lily Evans was killed by Lord Voldemort, Snape changed sides and became a member of the Order of the Phoenix and double agent during the Second Wizarding War. With tremendous difficulty, Snape was able to prevent Lord Voldemort from learning the truth about his loyalties. Despite the opinions of most others, Albus Dumbledore trusted Snape for reasons that were kept between them both until their deaths. Upon his death, it was revealed that his deep, strong love for Lily Evans caused him to redeem himself, joining Dumbledore's cause at the prospect of her protection from Lord Voldemort. The relationship between Dumbledore and Snape would be one of an unusually strong loyalty, so much so that Snape agreed to kill Dumbledore upon Dumbledore's own request. Before Dumbledore's death, Snape promised to protect the students of Hogwarts from the Death Eaters, who would inevitably take control of the Ministry of Magic, as well as the school. Snape later participated in the Battle of Hogwarts, but was killed by Lord Voldemort who mistakenly believed that Snape was the master of the Elder Wand, an immensely strong and powerful wand that Voldemort deeply desired, when in reality, Draco Malfoy was, unknowingly, the master of the Elder Wand because he disarmed Dumbledore. After his death, Harry Potter ensured that Severus Snape's portrait remained at Hogwarts, honouring him as a hero, despite their significant personal differences. In addition Harry later named his second son Albus Severus Potter after him. Severus Snape was born 9 January, 1960 to Eileen Prince, a pure-blood witch, and Tobias Snape, a Muggle, making him a half-blood wizard. Severus, whose father was neglectful and possibly even violent, began to identify with his mother's family and created a secret nickname from his mother's maiden name, calling himself "the Half-Blood Prince." His unhappy relationship with his father may have been the origin of his disdain for Muggles. It is implied that Severus was friendless and uncared for by his parents. This lack of care largely shaped Severus' bitter disposition and cruel behaviour later in his life. Severus grew up at Spinner's End, a shabby suburb of Cokeworth. This area of town was located nearby a dirty river and full of dilapidated houses, disused factories and broken down street lamps. Throughout the rest of his life, Severus continued to return there when he was not at school. The young Severus is depicted as being unwashed and wearing ill-fitting clothes "that were so mismatched that it looked deliberate". As a child, Severus was apparently neglected and his parents often fought with one another. He could not wait to leave for Hogwarts at the end of the summer. Information from Severus' own memories of his first interactions with Lily and Petunia suggests that he was an awkward child with poor social skills. Even when it was important to him to make a good impression, he always seemed to have trouble doing so. The memories show that both he and Lily had powerful talents for magic before attending Hogwarts. Severus Snape: "No. If you'd rather be brawny instead of brainy —"
Severus attended Hogwarts School of Witchcraft and Wizardry as a student from 1971 to 1978, and was sorted into Slytherin, at that time led by Potions professor, Horace Slughorn. On the way to Hogwarts for his first year, Severus sat with Lily on the train, where they met James Potter and Sirius Black. This hostile first encounter would set the tone for the antagonism between the three of them for the rest of his life. According to Sirius, Severus excelled at the Dark Arts from an early age. At the age of eleven, he knew more curses and hexes than most of the seventh year students. He reportedly was friends with a gang of Slytherins who later became Death Eaters, including Avery and Mulciber. Severus was credited with creating a good number of popular spells like Levicorpus, Liberacorpus, Muffliato, and curses like Langlock, the Toenail Growth Hex, and his signature curse, Sectumsempra. Other Slytherins that Sirius mentioned as being friends with Severus included Evan Rosier, Wilkes and Sirius's cousin Bellatrix Lestrange. Severus also had contact with Lucius Malfoy, who was a prefect during his first year and greeted him kindly when he was sorted into the Slytherin House. Most likely the two had good rapport at Hogwarts (which could also be a reason why Narcissa Malfoy trusted Severus to take care of Draco Malfoy and why he seemed to favour Draco during his later teaching years). Remus Lupin and Peter Pettigrew were also classmates of Severus. James and his group of friends were constantly at war with Severus throughout their school years. Severus' memories, recorded in the Pensieve, suggest that he was an introverted and studious individual, whereas James was arrogant, popular and athletic. Immediately upon meeting him, James disliked Severus for expressing a desire to be in Slytherin. James' big crush on Lily, and Severus' close friendship and unrequited love for her also heightened the tension between the two. One recorded memory in the Pensieve bears witness to James bullying him, turning him upside-down to reveal his underwear in front of many students, including Lily. Lily came to Severus' defence, but this only made things worse: in a subsequent lashing out at James in an attempt to recover his lost dignity, Severus inadvertently called Lily a Mudblood. Lily refused to forgive him for it, even after his repeated apologies. This would forever be Severus' worst memory. Severus noticed that Remus kept disappearing during the full moon and, on one occasion, decided to follow him past the Whomping Willow (after being tipped off on how to do so by Sirius Black) in order to confirm his suspicions. This act could have cost Severus his life or his humanity (he could have been turned into a werewolf by Remus' bite) had it not been for James. When James found out what had happened, he went after Severus and managed to save him just before he got to the Shrieking Shack while Remus was in his wolf-form. Albus Dumbledore swore Severus to secrecy, but the true nature of Remus was clear to Severus. By their seventh year, James had grown out of his immaturity and arrogance to the point that Lily agreed to start dating him, even though he never grew out of his hatred for Severus — according to Sirius, Severus had always been a "special case" with James. Lily ended up marrying James, which only strengthened Severus' bitterness towards him. Severus was a talented wizard even in his childhood years. It was apparent through the notes and scribbles in his Potions textbook that he made time during classes to invent curses, charms, and clever potion innovations, while simultaneously learning the required textbook lessons. Severus' potions textbook contained a few spells and curses which he was credited with inventing: Levicorpus, which grabbed the victim by the ankle and dangled them upside-down, and Sectumsempra, which caused slashing cuts (guided by the wand gestures of the caster, like a blade/sword) which bled extensively. Levicorpus somehow escaped from Severus' secrecy, and became very popular around Hogwarts towards the end of his fifth year at school. Some other spells were Muffliato, which filled the ears of anyone nearby with an unidentifiable buzzing sound and another hex that caused toenails to grow at an unnaturally fast rate. Severus' book later fell into the hands of Harry Potter in 1996. Harry used the Half-Blood Prince's tips and earned praise with that year's Potions master, Professor Slughorn. Harry considered the Half-Blood Prince to be a better teacher than Severus, unaware at that point that Severus was the Prince in question. The potions textbook has an inscription indicating it is Property of the Half-Blood Prince. Hermione Granger's research revealed that Prince was the maiden name of Severus' mother and so the nickname was revealed to be a combination of his mother's maiden name and his blood status. This nickname was apparently a secret, as Remus did not remember it ever being used publicly by Severus. Severus Snape eventually joined the ranks of Lord Voldemort's Death Eaters, and was the spy responsible for informing Voldemort about the prophecy foretelling his downfall. In early 1980, Snape eavesdropped on an interview for Divination Professor between Sybill Trelawney and Albus Dumbledore at the Hog's Head Inn. In the course of the interview, Trelawney prophesied that at the end of July, a child would be born who would cause the destruction of Lord Voldemort (which prompted Dumbledore to hire her, partly for her own safety). At that time it was not clear who was meant by the prophecy. Two children of prominent wizarding families were born that year at the end of July: Harry Potter and Neville Longbottom. Dumbledore reported at the Wizengamot trial of Igor Karkaroff that Severus had come to him and explained that he had been the one to overhear the prophecy, and reported it to Voldemort. However, Snape did not hear the entire prophecy, as the barman caught him eavesdropping and threw him out. Severus Snape: "Very well. But never — never tell, Dumbledore! This must be between us! Swear it! I cannot bear... especially Potter's son..."
Severus suffered terrible remorse when Voldemort decided that Harry Potter was the subject of the prophecy, and that Lily, the woman who he always loved, was now in danger as a result of his actions. He begged Voldemort to spare her in exchange for the lives of her husband and son. But knowing that he could not leave Lily's safety in question at the hands of someone who could turn back at his word on a mere whim, and that Lily would probably defend her child to the last breath, Snape also approached Albus Dumbledore to ask him to save Lily. He pleaded with Dumbledore to hide her, along with her husband and son if he had to. Dumbledore agreed, but insisted that Severus serve him as a spy among the Death Eaters. In fact, it was Snape's request to Voldemort which allowed Lily to let herself die in order for Harry to live, so that when Voldemort attempted to kill him, his curse backfired. Despite Dumbledore's best efforts to protect the Potters, Voldemort was tipped off by Peter Pettigrew, one of James' best friends, a spy, and he found them anyway. After Lily's death, Snape was devastated and distraught, but Dumbledore urged him to ensure Harry's safety out of respect for Lily's memory; Snape was initially reluctant, for with the Dark Lord gone, the danger had been averted, only for Albus to insist that he would return and everyone, particularly the boy, would be in danger when that happened. So Snape spent the rest of his life protecting her child, Harry Potter, who was often said to strongly resemble James. Distrusted for his past as a Death Eater by those on Albus Dumbledore's side, and hated by other Death Eaters for living as Dumbledore's stooge for ten years, Snape continued living on to complete Dumbledore's plan to protect Harry and defeat Voldemort. When Severus Snape began teaching at Hogwarts in 1981, he initially applied for the post of Defence Against the Dark Arts, but got rejected for five times. Dumbledore instead employed him in the position of Potions master and Head of Slytherin House, following the retirement of Horace Slughorn. Though it seems rather unlikely that someone so young would be named Head of any House at Hogwarts, it is possible that Snape was the only Slytherin teacher left at the school, or that he was placed there to contain the young Slytherins, who were frequently accused of (but not without reason) joining the Death Eaters. Following Voldemort's fall, Snape made no attempt to find his master, for he, like other Death Eaters, believed that Voldemort was dead, and he could use Dumbledore's protection to avoid being sent to Azkaban. Whether Snape truly believed that Voldemort was gone or fabricated this as an alibi for the Death Eaters is unknown. This brought him later into conflict with fanatical Death Eaters like Bellatrix Lestrange, but Snape was forgiven by Voldemort, because he could provide him with thirteen years of information on Dumbledore and the Order of the Phoenix. As a teacher, Snape was a ruthless disciplinarian, with little patience for foolishness, yet effective in his job and well respected by other professors. His deep understanding of potion brewing, as shown by his expert concoction of Wolfsbane Potion, transformed the knowledge of potions from mere chemistry to an art. Snape's role during this entire time was extremely sensitive and required master espionage and image-control skills. As he and Dumbledore knew Voldemort would return eventually, and many of Snape's actions would be reported on by Death Eater spies or gained through torture and legilimency, even if Snape's true mentality and intentions were inaccessible to the Dark Lord, he had to consider every decision and relationship carefully. He treated Harry with maximal coldness and never missed an opportunity to cause him trouble, as any variation from this would have cast suspicion on him in Voldemort's eyes. But in reality, he protected Harry on numerous occasions; he was happy enough to cause the boy, who resembled his father, Snape's hated rival from school days, humiliation and trouble, but never any actual harm or danger. He also had to avoid becoming too aware of Voldemort's plans, to avoid being held responsible for allowing Harry and his friends to foil them. But he handled all this brilliantly, and his every action during this period created no mistrust on the part of Voldemort. Harry Potter became a student in Snape's classes in 1991. The two of them detested each other almost immediately. Harry's resemblance to his father and his acquired "celebrity" brought the worst out of Snape from their very first Potions lesson. However, Snape later saved Harry's life during a game of Quidditch. When Harry's broomstick was jinxed, Snape performed a counter-curse to prevent Harry from being hurled off the broom. For the next match, Snape insisted on refereeing to make sure it did not happen again. This did not come across well to the other teachers, who believed that he was just trying to injure the Gryffindor team's chances of winning. Throughout the year, Snape did everything he could to prevent Professor Quirrell from obtaining the Philosopher's Stone. It is unknown whether or not he was aware that he had been sharing his body with Lord Voldemort. But after Quirrell's backhanded attempt to kill Harry during the Quidditch match, he probably suspected it. Harry: "Maybe he's left, because he missed out on the Defence Against the Dark Arts job again!" Ron: "Or he might have been sacked! I mean, everyone hates him —"
Snape: "Or maybe he's waiting to hear why you two didn't arrive on the school train." Snape played a relatively minor part during the 1992-1993 school year. When Harry and Ron arrived at Hogwarts in a flying Ford Anglia, he threatened to have them expelled, but Professor Dumbledore and Professor McGonagall stepped in and made sure it did not happen. Later on in the year, Harry, Ron and Hermione successfully managed to smuggle Polyjuice Potion ingredients from Snape's personal cabinets while creating a spectacle of a diversion in his classroom. During this year, Professor Snape also worked with Professor Lockhart in running the Duelling Club, seizing the opportunity to blast Professor Lockhart against a wall. Professor Snape was also among the professors who tried to get Professor Lockhart out of the way so that students could be escorted to safety. By describing the Polyjuice Potion in Potions class (which Hermione remembered), and demonstrating the Disarming Charm to the Duelling Club, Snape taught Harry two skills that ultimately proved critical to his success. During this school year, Snape demonstrated his expertise with potions by brewing the complex Wolfsbane Potion for the new Defence Against the Dark Arts professor, Remus Lupin. Throughout this year, Snape suspected that Lupin may be helping Sirius Black, an escapee from Azkaban, enter Hogwarts castle. This suspicion stemmed from Lupin's friendship with Sirius and Harry's father James when they were all at Hogwarts as students. It is revealed that Sirius once played a joke on Snape, telling him that he could find out where Lupin was going every month if he climbed into the Whomping Willow. James realised the danger and saved Snape's life by pulling him back. Near the end of the school year, Snape ambushed Black as he entered the school again and attempted to apprehend him. When Harry aided Black's escape, Snape was beside himself with indignation. On the last day of school, he revealed to his students that Lupin was a werewolf, forcing Lupin to resign his post. Snape was apoplectic when Harry's name was unexpectedly chosen from the Goblet of Fire. Despite the fishy circumstances surrounding the incident and the immense dangers that Harry was facing, Snape refused to believe that he did not deliberately enter himself in for the Triwizard Tournament. Indeed, he continued to treat Harry as maliciously as ever, thinking that he had broken into his office to steal ingredients to aid him in the underwater phase of the tournament. Harry later discovered that Snape was once a Death Eater but had been vouched for by Dumbledore. Dumbledore told the Wizengamot that although Snape had indeed worked for Voldemort, he changed sides and turned spy against him. Dumbledore reassured Harry that Snape's loyalties were genuine, though he refused to tell Harry why. However, despite Snape's unawareness of the real reason why Harry was in the tournament, it had not escaped his notice that Lord Voldemort's mark was becoming increasingly more pronounced throughout the year. Karkaroff, who dreaded retribution from Voldemort, panicked and confided his fears in Snape. The former consequently fled when the Dark Lord returned. After the Third Task and the Rebirth of Lord Voldemort, Dumbledore and Snape attempted to convince a disbelieving Cornelius Fudge that Voldemort had returned. Snape was subsequently sent on a secret mission by Dumbledore to rejoin the Death Eaters and spy on the Dark Lord as a re-doubled agent. Umbridge: "Ah, yes. The time has come for answers, whether he wants to give them or not. Have you bought the Veritaserum?" Snape: "I'm afraid you have used up all my stores interrogating students [...] Unless you wish to poison Potter — and I assure you, I would have the greatest sympathy if you did — I cannot help you." During the 1995-1996 school year, with Voldemort having returned to his body, Snape carried on with his work as a re-doubled agent for Dumbledore. During the summer, he was seen at Number 12, Grimmauld Place giving reports to the Order of the Phoenix. Snape frequently taunted Sirius about the latter not being able to take an active role in the Order's missions due to his fugitive status. Back at school, Snape's allegiance to the Order had no effect on his dislike for Harry. When Harry began having visions about Lord Voldemort, Dumbledore asked Snape teach Harry Occlumency in order to shut down the telepathic connection. However, the mutual hostility made it difficult for them to work productively during the sessions. Indeed, Snape had to be very careful in the ways that he helped Harry, should Voldemort read Harry's mind and discover his servant working against him. At one point, Harry peeked into the Pensieve when Snape was out of his office and witnessed a private memory of being bullied and harassed by his father. Upon returning, Snape threw him out of the office and forbade him from ever coming back again. For all the rest of that semester, he treated Harry with redoubled contempt and fury and ignored him in class whenever possible. Towards the end of the school year, Dolores Umbridge captured Harry and questioned him on the whereabouts of Dumbledore. She sent for Snape to provide Veritaserum to force Harry to reveal any information he may be hiding. Snape claimed that his supplies of Veritaserum were exhausted earlier, when she had attempted to use the drug surreptitiously to force information from Harry. Snape withheld further assistance. It is later revealed that Snape had actually given fake potion on the prior attempt. Upon hearing Harry's cryptic warning about Sirius' capture, he swiftly carried the message back to the other Order members, and helped come up with a plan for them to come to the rescue in the Department of Mysteries while he searched the Forbidden Forest for Harry. However, despite the fact that Snape came to his aid multiple times throughout the year, Harry hated him as much as ever, believing Snape's goading spurred Sirius into joining the battle. Prior to the start of the 1996-1997 school year, Snape was visited by Bellatrix Lestrange and Narcissa Malfoy at his home in Spinner's End. Narcissa's son Draco had been given a difficult task by Voldemort, and Narcissa swore Snape to an Unbreakable Vow, on pain of death should he break it, that he would protect Draco, help him complete Voldemort's task, and finish the task himself if Draco failed. When questioned by Bellatrix about his loyalties, Snape claimed to have been working for Voldemort (rather than for Dumbledore) ever since Voldemort's return, and explained his actions in the previous years in that light. In addition, he pointed out that Dumbledore's protection had kept him out of Azkaban and free to operate on Voldemort's behalf. At the start-of-term feast at Hogwarts, Dumbledore announced he had finally appointed Snape as Professor of Defence Against the Dark Arts. Snape was no less severe in teaching Defence than he had been with Potions, although he did allow students who achieved below "Outstanding" at O.W.L. level to enter his N.E.W.T. classes. Having finally acquired the position he desired for so long, Snape taught the lessons with a tone of passion for the Dark Arts he sought to undo. Horace Slughorn, a retired Hogwarts teacher, replaced Snape as Potions Master. Slughorn loaned Harry an old Potions textbook, in which Harry found marginalia including helpful tips on how to make potions better and a variety of hexes and jinxes seemingly invented by an unknown student. The book was inscribed "This Book is the Property of the Half-Blood Prince". With the help of the notes, Harry quickly became the best potion-maker in the class and Slughorn's favourite student. Snape, however, was suspicious when he heard about Harry's newfound success, maintaining that he "never had the impression that [he] had been able to teach Potter anything at all". Later, in a fight with Draco, Harry cast one of the Prince's spells marked "For Enemies" (Sectumsempra) and was horrified when it caused devastating wounds to Draco's face and chest. Snape rushed to the scene and healed Draco's wounds, and then interrogated Harry about the source of the spell. When Harry refused to tell him anything, Snape demanded that he bring him all of his books. Harry hid the Prince's book and gave Ron Weasley's copy of the book to Snape instead. Snape punished Harry by giving him a detention every Saturday for the rest of the year, including during the final Quidditch match of the season. Before leaving with Dumbledore to find a Horcrux, Harry discovered from Professor Trelawney that it had been Snape who overheard The Prophecy and told it to Voldemort, thus causing Voldemort to hunt Harry and his parents. Despite this and Harry's angry questions, Dumbledore maintained that he trusted Severus. After returning to Hogwarts, Harry and Dumbledore alit on the school's Astronomy Tower. Gravely weakened by Voldemort's potion, and the school being under attack by Death Eaters, Dumbledore asked Harry to fetch Snape for him. Before Harry could leave, Draco arrived and Disarmed Dumbledore, intending to carry out Voldemort's ordered assassination. Draco was unable to bring himself to commit the murder, however, and Snape killed the headmaster himself. An enraged Harry (who had been immobilised by Dumbledore for his own protection and witnessed the killing while under his Invisibility cloak) chased Snape, Draco, and the Death Eaters as they fled the castle. Snape easily blocked Harry's attempts to attack him and jeeringly pointed out Harry's mistakes, but refused to strike back. During the confrontation, Snape also revealed himself to be the "Half-Blood Prince" (being the son of Tobias Snape, a Muggle, and Eileen Prince, a pure-blood). Harry was unable to stop Snape before the latter passed through the school gates and Disapparated. Hermione Granger: "I don't think he wanted to associate himself with that book. I don't think Dumbledore would have liked it very much if he'd known. And even if Snape pretended it hadn't been his, Slughorn would have recognised his writing at once." Harry Potter: "I should have showed the book to Dumbledore. All that time he was showing me how Voldemort was evil even when he was at school, and I had proof Snape was, too —"
After killing Albus Dumbledore and fleeing the school, Snape once more rejoined the ranks of the Death Eaters. In the summer of 1997, Snape informed Lord Voldemort that Harry was to depart from his relatives' house four days before his birthday. On Dumbledore's orders, Snape told the Death Eaters the correct date so as to continue Voldemort's trust in him. Snape then fed Mundungus Fletcher the idea of using seven decoys of Harry Potter during his movement to a place of safety so that when the Death Eaters arrived, they would not know who the real one was. In order to be consistent in his own role as a Death Eater, Snape confunded Fletcher so that he would not remember who told him. Because of Snape's information, when the Order of the Phoenix moved Harry from 4 Privet Drive they were ambushed by Death Eaters, and the Battle of the Seven Potters ensued. During the battle, Snape accidentally sliced George Weasley's ear off with his wand while aiming at another Death Eater. During the 1997-1998 school year, Snape was named Headmaster of Hogwarts, while Death Eaters Alecto and Amycus Carrow were appointed Deputy Heads. Snape used his position as Headmaster to discreetly protect the students and to contain the Carrows. It is later understood that, during his time as Headmaster, Snape consulted with the portraits of the previous headmasters, and continued to receive instructions from Dumbledore's portrait. Before the beginning of the first term, Rufus Scrimgeour removed the Sword of Gryffindor from its glass case in the headmaster's office for examination, along with the other items Dumbledore left in his will. However, this sword was a fake. The real sword had been hidden in a hole in the wall behind Dumbledore's portrait. When its counterfeit had been returned to Dumbledore's office, another attempt to seize the sword was made by several students. After pretending to punish them by sending them into the forest with Hagrid, Snape passed it along to Bellatrix Lestrange, who stowed it away in her vault at Gringotts, thinking that it was real. Upon being informed of Harry Potter's whereabouts, Dumbledore's portrait instructed Snape to give Harry the real sword without the latter knowing it. Not only would Harry not have taken kindly to Snape's appearance after his attack on George Weasley, and also for the murder of Dumbledore of which Harry was an eye-witness, it would have been dangerous if Voldemort were to read his mind and see Snape helping him. Snape then took the real sword, hid it in a frozen pool of water near Harry's camping spot, and used his Patronus to guide Harry to it. As a headmaster, Snape was thoroughly disliked by many of his students. The old members of Dumbledore's Army reformed the organisation after Lord Voldemort gained control over the school and started up a revolt against Snape and the Carrows. Neville Longbottom, Luna Lovegood and Ginny Weasley were at the forefront of the rebellion. Snape, following up on his promise to Dumbledore to keep the students safe, subtly undermined the violent, sadistic attempts of the Carrows to keep control by doing things such as sending students to help Hagrid as punishments rather than the Carrows' more dangerous alternatives. Also, during his tenure, the Educational Decree Number Twenty-Four was re-enacted. Harry, Ron, and Hermione returned to Hogwarts Castle in search of one of the last of Voldemort's Horcruxes, which they believed to have something to do with Rowena Ravenclaw. The only idea they could come up with was Ravenclaw's lost diadem, and so Harry and Luna Lovegood went to the Ravenclaw Common Room to get an idea of what the diadem looked like. Here they were met by Alecto Carrow, who pressed her finger to the Dark Mark and summoned Voldemort. Amycus Carrow arrived, but so did Minerva McGonagall, and Snape subtly allowed the inept Death Eater Carrow siblings to be knocked out in the battle. As McGonagall rushed to meet with the other Heads of Houses to protect the school from Voldemort's oncoming attack, she was stopped by Snape, who demanded she tell him if she knew the whereabouts of Harry Potter. The two began fighting, and while Snape put up a good defence McGonagall was soon helped by the arrival of the other Heads of House: Sprout, Flitwick and Slughorn. Outnumbered, Snape fled the castle, jumping out the window of a classroom and using the ability to fly without a broom, which he presumably learned from Voldemort. Later in the evening, Snape was summoned by Voldemort to the Shrieking Shack. Erroneously believing Snape was the master of the Elder Wand, Voldemort had his snake Nagini bite him through the neck, believing that Snape's death would make him the true master of the Wand. Before dying, Snape released a cloud of memories and told Harry, who had watched the entire scene from a hidden spot, to take them. Harry later took the memories to the Pensieve in Dumbledore's office. From these memories, Harry learned all about Snape's past. In the first scene, Harry discovered that Snape had befriended Lily as a nine-year-old child when they lived near each other. Upon their arrival at Hogwarts, the Sorting Hat placed Snape and Lily into Slytherin and Gryffindor Houses, respectively. They remained close friends for the next few years until they were driven apart by Snape's interest in the Dark Arts and by Lily's interest in James Potter. The friendship finally ended following the incident that Harry had briefly witnessed in his fifth year, in which Snape accidentally insulted Lily. Despite this separation and Snape's animosity toward Lily's eventual husband James, Snape continued to love Lily on a much deeper and stronger romantic level for the rest of his life. Snape was next seen going to Dumbledore and desperately begging him to hide the Potters from the Dark Lord, who was planning on targeting Lily's son to prevent a prophecy from being fulfilled. Snape had been the one who previously revealed said prophecy to Voldemort, not knowing at first that it was referring to Lily and her family. Though he asked Voldemort to spare Lily, Snape still feared for her safety. In return, Snape became a double agent for the Order of the Phoenix, employing Occlumency to hide his duplicity from his master. Snape felt devastating pain and remorse when Lily was found and killed. From that point on, he agreed to help Dumbledore protect her son and fight against Lord Voldemort. Snape demanded, however, that his feelings about Lily be kept a secret. Dumbledore complied and never told anyone the real reason why Snape switched sides. Snape's memories then revealed that Dumbledore had been afflicted by a powerful curse cast on Marvolo Gaunt's ring, one of Voldemort's Horcruxes, prior to the start of Harry's sixth year at Hogwarts. Although Snape's knowledge of the Dark Arts enabled him to slow the spread of the curse, the curse would have ultimately killed Dumbledore within a year. Dumbledore, aware that Voldemort had ordered Draco to kill him, asked Snape to kill him instead as a way of sparing the boy's soul and of preventing his own otherwise slow, painful death. Although Snape was reluctant, even asking about the impact of such an action on his own soul, Dumbledore implied that this kind of coup de grâce would not damage a human's soul in the same way murder would. Snape agreed to do as the Headmaster requested. Snape's memories also provide Harry with the information he needs to ensure Voldemort's final defeat, in the form of conversations Snape had with Dumbledore. Because of the memories, Harry finally understood where Snape's true allegiances always were. He also showed Harry the memory where Albus Dumbledore had told him about Harry himself being a Horcrux (although he did not understand it) because Dumbledore had asked him to pass that along to Harry when the time was right. During the final duel between Harry and Voldemort, Harry finally told him that Snape had been, in fact, Dumbledore's man. Harry also revealed that Snape was never the true master of the Elder Wand, because Snape never defeated Dumbledore; the two had arranged his death. Before Snape killed Dumbledore, Draco Malfoy disarmed Dumbledore. Therefore, Draco was the true master of the Elder Wand, not Snape. However, Harry had overpowered Draco at Malfoy Manor and taken his wand (10" hawthorn, unicorn hair core). Because of the subtleties governing wand ownership discussed by Garrick Ollivander, Harry was master of the Elder Wand. Snape's true loyalties remained hidden due to his skills as an Occlumens and the fact his actions were motivated by love, which completely eluded Voldemort. Snape's portrait was not automatically put into the Headmaster's office since he had essentially abandoned his post during the Battle of Hogwarts. However, Harry, in one of his acts of showing reconciliation towards Snape, made sure that his portrait was placed there. Albus Severus Potter, the second son of Harry, and the only one of Harry's children to have inherited Lily's bright green almond-shaped eyes, is named after Snape. When Albus was worried that he may be sorted into Slytherin, Harry responded that Albus was named after two headmasters, one of whom was a Slytherin and who was "probably the bravest man I ever knew." Rita Skeeter published a book about Snape's life, entitled Snape: Scoundrel or Saint?, sometime after his death. If it is consistent with Skeeter's other works, it is probably riddled with inaccuracies designed to tarnish Snape's reputation. –J. K. Rowling on why Snape was so poorly groomed. Severus Snape was a thin man with sallow skin, a large, hooked nose and yellow, uneven teeth. He usually dressed in flowing black robes which made him resemble "an overgrown bat". He had shoulder-length, greasy black hair which framed his face in curtains, curling lips and dark, penetrating eyes that resembled tunnels. The younger Snape had a "stringy, pallid look", being "round-shouldered yet angular" and with a "twitchy" walk "that recalled a spider", as well as "long oily hair that jumped about his face." Snape had a strong, authoritative presence. He spoke in a soft, contained voice most of the time, except during the occasional instances when he lost his temper. Snape was rather shorter than Sirius Black. At times, Snape could appear cold, cynical, malicious, bitter and sarcastic. He had a commanding presence that exuded gravitas, authority and control; like Professor McGonagall, he had the ability to keep a class quiet without effort. He tended to hold grudges and was extremely spiteful toward those whom he disliked. In particular, he disdained Gryffindor students, considering them to be arrogant and attention-seeking. Descriptions of his social interactions as a child suggest that he had poor interpersonal skills. Snape was a repressed, solitary man with no friends. In his early life, he was insecure, vulnerable and yearned to be part of something better. As a child, the bleak mundanity of working-class suburbia compounded with his neglectful Muggle father inspired in him a contempt for ordinariness. This urgent desire to be a part of something powerful and important was what drew him to Lord Voldemort's inner circle. Snape's bitterness and resentment towards the world was exacerbated even more by the relentless bullying he endured in school, causing him to shut himself in even more. He was an intensely private individual who viewed emotional displays as a sign of shameful weakness. As an Occlumens, Snape had superb emotional control and was adept at concealing his thoughts and feelings, which allowed him to maintain his cold, collected demeanour. However, he had his limits, and was not incapable of losing his temper, particularly when it came to dealing with Harry Potter. Inevitably, he also became furious when he thought he was being pitied or accused of cowardice. Snape was a formidable sorcerer, displaying consummate skill in many different branches of magic. His extensive knowledge and abilities were rivalled by very few, if any other witches and wizards of his age. Snape was also unusually cerebral for a wizard, possessing a subtle and keenly analytical mind. As a professor, Snape was known for his cavalier and harshly authoritarian attitude towards his teaching. His standards for his classes were much higher than that of the other professors, as he only allowed students with the very best grades to continue into advanced study. Ultimately, it was Snape's past and his love for Lily Evans that defined his inner being. Upon overhearing The Prophecy, he immediately informed his then-master of its contents, unwittingly endangering Lily and her family. It was only after Lily's death that Snape realised the full extent of his actions. He suffered terrible remorse for what he had done and spent the rest of his life in constant danger in order to protect Lily's son. In spite of his vindictive demeanour, Severus Snape was an immensely brave man who possessed a deep capacity for love. Everything that he did in the latter part of his life was motivated by his devotion to Lily Evans, whom he loved unconditionally. He was one of Dumbledore's most reliable allies and in his role as a double agent, took great personal risk in ensuring Harry's safety at the hands of Lord Voldemort. Severus Snape was an extremely powerful and very knowledgeable wizard, showing proficient talent in many different areas of magic. Love: Severus was one of the only people in Voldemort's inner circle who was capable of feeling unconditional love. He fell in love with Lily Evans as a child and maintained his devotion until his death. Despite their differences in beliefs about many things, Severus felt nothing but absolute love for Lily even though she never extended her reciprocity beyond friendship. Snape was devastated by Lily's death and spent seventeen years in constant danger in order to protect Lily's son and ensure that her sacrifice was not in vain. Indeed, Snape's Patronus was a doe, just like Lily's, showing that his love for her was far stronger than his loyalty to Lord Voldemort. Snape was the only Death Eater who was able to perform a patronus. Dark Arts: Severus had a passion for the Dark Arts from a young age, and was especially talented with curses, or so some believed. According to Sirius Black, Snape was "up to his eyeballs in the Dark Arts" when he was at school. However, they had an age old rivalry which could have influenced his words. During his schooldays, he invented numerous spells, mostly curses, hexes, and jinxes. It is unknown if he was aware of Horcruxs or Voldemort's employment of them as he never mentions them. Potioneer: Severus was extremely adept at potion-making and worked as the Potions Master at Hogwarts for about 15 years. His prowess at potion-making extended beyond simple execution from recipes. When he was still only a student, he would alter official instructions with his own variations, which usually resulted in quicker and more efficient results. He was capable of brewing highly complicated potions such as Veritaserum and the Wolfsbane Potion. Occlumency and Legilimency: Snape's unerring ability to conceal his thoughts and feelings from external penetration proved to be crucial for him. For seventeen years, he managed to hide facts from Lord Voldemort such as his remorse for Lily Evans' death and his secret alliance with Albus Dumbledore; it was his mastery of hiding his mind that made both sides distrust him. Snape was also skilled at Legilimency; Harry Potter often felt as if Snape had the ability to read minds even before learning what the art was. Snape used Legilimency on Harry constantly while attempting to teach him Occlumency in their private lessons. Transfiguration: Severus was skilled in Transfiguration, being able to conjure objects and animals, and Transfigure elements into other objects with apparent ease. He could also vanish objects as seen when he vanished Harry Potter's Draught of Peace potion in 1995 . Charms: Snape could use charms without fail, such as levitation, disarming, shields, vanish potions the incredibly difficult Patronus Charm and he was able to write instructions on a black board with a single flick of his wand. Duelling: Although he rarely appeared in any known duels Snape was shown to be a very capable duellist. He was able to block the spells being fired at him by the extremely powerful witch Minerva McGonagall during their brief duel, though was forced to flee by the arrival of the other Heads of House. He assisted in a duelling club in 1992 with Gilderoy Lockhart, defeating him with a single spell, though, as Lockhart was an unskilled wizard, this was not such a great achievement. Snape also easily blocked all of Harry Potter's hexes during his escape from the Battle of the Astronomy Tower, using Legilimency to read Harry's attempted moves and countered them all before they could be executed. Severus participated in the Battle of the Seven Potters, joining the Death Eaters' side (though secretly attempted to protect the Order). Contrary to the vicious duelling styles of other Death Eaters, Snape preferred using defensive spells and only used aggressive magic when facing a weak opponent, such as Lockhart, or when his foe grew frustrated and started making mistakes. Broomstick handling/Quidditch: On top being capable of unsupported flight in his later days, Snape was an able flyer on a broomstick, and sure enough in the rules of Quidditch to take over the position of referee at least once. Lily Evans: "Doesn't your dad like magic?" Severus: "He doesn't like anything, much." Like other students who went to Hogwarts, Snape never regarded the place where he grew up as a real home. It is likely that he suffered neglect as a child; his parents seem to have had a dysfunctional, even abusive relationship. It is unknown what happened to them, but in the summer of 1995, Snape is shown living during their empty house. Presumably he had nowhere else to go during work vacations. This troubled, lonely childhood is strongly suggested to have accounted for his severe demeanour, depression, sadness, bitterness and bouts of rage, as seen later in his life. However, Snape might have identified a little bit more with his mother than his father, because during school he nicknamed himself the "Half Blood Prince". In addition, it is quite likely Eileen gave her son most if not all of his school things, as his sixth-year Potions book was, according to Harry, at least half a century old. Snape's friendship with Lily Evans was probably the only thing that truly brought him joy in his life. He first met Lily at a very young age, recognising her as a witch one day as she and her sister Petunia played in the park near his house, she had flown of the swings and made a flower grow from a sprout. Longing to escape his humiliating home life, Snape immediately sought to make her his friend. Despite the fact that Lily came from a Muggle family, he never truly saw her as being one of them because he was so smitten with her. In 1971, the two of them were accepted into Hogwarts School of Witchcraft and Wizardry and continued a close friendship up until around their fifth year, despite being sorted into different houses. During this time, Snape began hanging out with people who embraced sadistic magic and pure-blood supremacy, which put a huge strain on their friendship. Lily was offended by many of the views that Snape was beginning to adopt and disliked the qualities that his new classmates were bringing out in him. Given time over again, Snape would never have done many of the things he did, but at the time he did not truly understand her aversion. He was so insecure and blinded by his attraction to the Dark side that he imagined she would find it impressive if he became a real Death Eater. Ironically, Lily might have grown to love Snape romantically (she certainly loved him as a friend) if he had not loved Dark Magic so much, and been drawn to such loathsome people and acts. When Snape called Lily a "Mudblood" in a moment of humiliation, it was the last straw for Lily. When she later asked him if he still intended to become a Death Eater and he did not deny it, she severed all ties with him, despite Snape's profuse apologies. When Snape overheard the Prophecy, he immediately relayed its contents to the Dark Lord, not knowing that it would have anything to do with Lily. Upon discovering that Lord Voldemort was planning on targeting the Potter family, Snape pleaded with him to spare Lily in exchange for her husband and son. He later appealed to Albus Dumbledore, asking him to do everything in his power to protect Lily and the rest of her family, if he had to. Snape was devastated by Lily's death and wished he were dead as well. But at Dumbledore's behest, he became committed to protecting her son Harry and assisting him in defeating the Dark Wizard. Indeed, Snape's Patronus was a doe, just like Lily's, because he loved her throughout his entire life. As Snape died, he asked Harry to look into his eyes; his last wish in his final moments was to die looking into the same green eyes that reminded him so much of Lily. Snape: "You and Black, you're two of a kind, sentimental children forever whining about how bitterly unfair your lives have been. Well, it may have escaped your notice, but life isn't fair. Your blessed father knew that; in fact he frequently saw to it!" The Marauders were a group of four Gryffindor boys, with whom Snape began a relationship of enmity and hate throughout their school years. The group consisted of Remus Lupin, Peter Pettigrew, James Potter, and Sirius Black. Snape and the latter two detested each other almost instantly upon meeting for the first time in a compartment on the Hogwarts Express. Throughout their times at Hogwarts, James and his friends (except for Lupin) bullied Snape ceaselessly, Pettigrew only did it though because James and Sirius did it. Lupin did not encourage the harassment, but he did not try to stop them, either. Snape, in turn, never lost an opportunity to get one up on them whenever possible. However, James Potter ended up saving his life when Sirius told Snape how to get into the Shrieking Shack, which he deeply regreted later on and was punished deeply. Snape caught a glimpse of Lupin transforming into a werewolf before James pulled him back through the tunnel. Snape did not think James was acting nobly. Rather, he saw it as being more of a self-serving act in order to avoid him and the rest of the maruders being expelled from Hogwarts, and the incident only made him resent James more than ever. He also came to hate Lupin, believing that he had been in on Sirius's prank. Lupin: "Well, Snape was a special case. I mean, he never lost an opportunity to curse James so you couldn't really expect James to take that lying down, could you?" Harry: "And my mum was OK with that?" Sirius: "She didn't know too much about it, to tell you the truth, I mean, James didn't take Snape on dates with her and jinx him in front of her, did he?" During their seventh year at Hogwarts, Lily and James began dating, which probably fuelled Snape's hatred of him even more. James always suspected that Snape had deeper feelings for Lily, which factored strongly into his behaviour towards him. Snape's continued bitterness toward the Marauders even into adulthood became apparent in 1993, when Remus Lupin was given the position of Defence Against the Dark Arts professor at Hogwarts, despite Snape and Dumbledore both knowing that he was a werewolf. During the time that Harry Potter attended the school, Snape delighted in comparing Harry to his father and telling him that he was not the great man he liked to believe he was. Snape mostly felt bitterness and resentment towards Remus Lupin, and took to dropping hints about his being a werewolf in the hopes that the students would catch on. However, it should be noted that, despite Snape's strained relationship with the Marauders, he dutifully concocted potions for Remus Lupin during his tenure at Hogwarts and attempted to save his life during the Flight From Little Whinging. Lupin was the only one of the Marauders who could interact with Snape at least on a perfunctory level when they were adults. Snape held an especially strong enmity towards Sirius. Not only did Snape hate Sirius because he bullied him at Hogwarts, but he also believed Sirius to have betrayed Lily to Voldemort. He was eager to be the one to hand Sirius over to the receive the Dementor's Kiss after he broke out of Azkaban and was furious when he managed to escape yet again. After Sirius's innocence was proven, Dumbledore demanded that the two of them shake hands and ally together against Lord Voldemort. Though Sirius felt some regret over his malicious treatment of Snape in school, the two were barely capable of having a civil conversation. During the period that Sirius was hiding from the Ministry of Magic, Snape took to taunting him about how he was useless to the Order while confined to his mother's house. However, after learning of Sirius' innocence, Snape accepted that they were fighting for the same side, albeit begrudgingly, and when Harry told Snape that he thought Voldemort had captured Sirius, Snape quickly ran to check if Sirius was in fact safe. Snape treated Pettigrew, the man who truly betrayed Lily, with nothing but contempt. It is possible that Snape regarded Pettigrew as being too negligible of a person to hate. When the Dark Lord later assigned Pettigrew to work as his assistant, Snape took to treating him like a maid, forcing him to clean his house and serve food to his guests and making sure that he wasn't a least bit comfortable and was of course not happy. Severus Snape: "Mediocre, arrogant as his father, a determined rule-breaker, delighted to find himself famous, attention-seeking and impertinent...."
Albus Dumbledore: "You see what you expect to see, Severus. Other teachers have reported that he is modest, likable, and reasonably talented. Personally, I find him an engaging child." Severus Snape: "He is his father all over again." Albus Dumbledore: "In looks, perhaps. But his deepest nature is much more like his mother's." From the day Harry set foot in Hogwarts, he and Snape loathed each other. Despite the fact that Snape was committed to honouring Lily's sacrifice, he could not bring himself to judge the boy objectively because of the connection to James Potter, who bullied him in his school days. Indeed, Snape was filled with nothing but contempt and bitterness towards Harry, who simultaneously reminded him of both Lily and James. Harry served as living proof of the fact that Lily had given her love to someone else, and Snape wasted no time in comparing him continually with his father. During Harry's time at Hogwarts, Snape treated Harry viciously, both in class and out. He frequently derided the boy's abilities, bullied him in class and punished him whenever possible. He was also resentful and even somewhat envious of Harry's popularity, which he also equated with Harry's father. Although Snape threatened to have Harry expelled more than once, he never attempted to follow through — presumably because it would have led to Harry losing the protection surrounding him. However, never did he forget that Harry was also Lily's child, and much beyond bureaucratic rules, this led him to put the boy's safety in the most critical situation. When he learned that Dumbledore had intended for Harry to die all along, Severus remained horrified, seeing it as a calculated betrayal to Lily's memory. When Harry helped Sirius Black escape, their relationship went under further strain, since Snape believed at that time that Sirius betrayed Lily to Voldemort whereas Harry had learned of his innocence, although Snape continued to put Harry's safety first. During the brief period in which Snape gave private Occlumency lessons, Snape relished in forcing Harry to relive his worst memories. During the early years, Harry associated Snape with his abusive and bullying ways but when Sirius died, Harry took savage pleasure in blaming Snape for having taunted Sirius about being useless, causing him to leave his hiding place and join the battle. Though Snape came to the aid of the Order as swiftly as possible, Harry blamed Snape mainly to ease his own guilty conscience about the entire incident. However, this was nothing in comparison to the retroactive rage Harry felt upon finding out that Snape was the one who relayed the Prophecy to Lord Voldemort, causing him to hunt down Harry and his family. When he later murdered Dumbledore, the hatred between them was sealed almost as personally as between Harry and Voldemort. Only once did Snape ever truly see him as Lily's son, and that was in the moments right before he died. Following this, Harry was given access to all of Snape's concealed memories, which brought the former teacher's true intentions to light. When Harry discovered the love Snape had for his mother and the constant danger he put himself in to ensure his safety, his opinion of him changed completely. By adulthood, all of Harry's hatred of Snape seems to have vanished and looks as though he had never harboured it at all. This can be seen through his request that a portrait of Snape be hung in the Headmaster's office at Hogwarts, which was not done immediately after Snape's death since he had abandoned his post. Furthermore, Harry gave his youngest son the name "Albus Severus", and told him that his Slytherin namesake was "the bravest man I ever knew." Another aspect of Snape's highly visible, almost cartoonish mistreatment of Harry is that he knew all his actions might one day be reported to Voldemort by Death Eater spies. He did nothing that would create the image of real sympathy or loyalty to Potter or any of Voldemort's former adversaries, only curt professionalism towards his colleagues, obedience but not true loyalty to Dumbledore, and utter hatred for Harry. His need to behave this way was redoubled when it became clear Voldemort could use legilimency to read Harry's mind, and in doing so view any action by Snape in view of Harry. Ironically, the two shared many similarities that neither of them were aware of. Both were half-blood wizards who grew up among Muggles. Both of their Muggle caretakers were cruel to them (Snape's father was implied to be abusive to Snape and his mother, while the Dursleys were neglectful towards Harry). Both Snape and Harry's childhoods involved Petunia Evans (Snape was friends with Petunia's sister Lily, while Harry was Petunia's nephew). Both grew up wearing secondhand clothes (however, Snape was likely forced to wear them due to his family's poverty, Harry's relatives were simply reluctant to afford any major expenses on him). In addition, the two grew up virtually friendless until attending Hogwarts (Snape due to his unstable family life and secondhand clothes, Harry due to his relatives isolating him). Upon entering Hogwarts, Snape and Harry were bullied mercilessly, in Snape's case, by the Marauders (who were led by James Potter), and Harry by (ironically) Snape himself, Draco Malfoy, among others. Furthermore, both had at least one near-death experience during their Hogwarts: Snape was nearly killed in an abortive prank by the Marauders, while Harry repeatedly had Voldemort attempting to kill him. However, both Harry and Snape had at least one silver gleaming: their genuinely intense and close romantic attraction to a redheaded teenager (Lily Evans and Ginny Weasley, respectively). Of course, while Snape did not marry Lily (who had married James and mothered Harry), while Harry himself did marry Ginny (with whom he had sired a son named Albus Severus). Snape: "That is the second time you have spoken out of turn, Miss Granger... Five more points from Gryffindor for being an insufferable know-it-all." Snape: "Detention, Weasley... and if I ever hear you criticise the way I teach a class again, you will be very sorry indeed." Snape criticised Ron Weasley and Hermione Granger whenever possible, most likely because of the fact that they were friends of Harry as well as being Gryffindors. Although Snape seldom found anything wrong with Hermione's work, he never awarded her house points and sometimes accused her of being an "insufferable know-it-all". Despite this, Snape saved their lives in 1993 when Professor Lupin had transformed into a werewolf at the full moon, and even after they had stopped being his students, continued to assist the three of them in their quest to destroy the seven Horcruxes (without them being any the wiser, of course). It is unknown how Ron and Hermione reacted to the revelation of Snape's loyalty. Dumbledore: "I prefer not to put all my secrets in one basket, particularly not a basket that spends so much time dangling on the arm of Lord Voldemort." Snape: "Which I do on your orders!" Dumbledore: "And you do it extremely well. Do not think that I underestimate the constant danger in which you place yourself, Severus. To give Voldemort what appears to be valuable information while withholding the essentials is a job I would entrust to nobody but you." Snape's relationship with Dumbledore was one of close, but not indefinite trust. After having accidentally put Lily's life in jeopardy (he delivered a prophecy to Lord Voldemort without knowing at the time that it was referring to her son), Snape turned to Dumbledore to keep her safe. Dumbledore chose to capitalise on Snape's remorse and initiated him into the Order of the Phoenix as a double agent. As a spy for the Order, Snape silently kept his place within the ranks of the Death Eaters, while informing Dumbledore about their movements. He also adopted the role of secret agent for Voldemort, and supplied him with strategic scraps of information about the Order. The content of these reports was often dictated by Dumbledore. It is implied that Snape withheld little, if any, information from Dumbledore that was relevant to the Order's success, while Snape deliberately did the opposite for Voldemort. Snape resented Dumbledore's secrecy and was offended by this perceived lack of faith in his abilities. However, when Snape discovered that Dumbledore had intended for Harry to die all along, he was horrified, seeing it as a calculated betrayal of Lily's memory. Dumbledore clearly underestimated the depth of Snape's feelings, and, years later, was very surprised to learn that he still maintained his devotion. In 1996, Dumbledore became aware of Voldemort's plan to kill him. Knowing Voldemort expected Draco Malfoy to fail, and assuming Snape to be Draco's successor, Dumbledore assigned Snape the task of killing him when the situation arose. Despite Snape's numerous attempts to persuade Dumbledore otherwise, he did complete his assignment. Dumbledore also entrusted Snape with protecting the students once Hogwarts fell into Voldemort's control. In spite of their mutual trust in each other, Dumbledore never allowed Snape his coveted position as Defence Against the Dark Arts teacher. It was claimed that he did it so that Snape wouldn't experience a resurgence of "old habits". The truth may in fact be that Dumbledore believed the post to the jinxed by Lord Voldemort after he failed to attain the post, and this jinx had prevented any teacher from lasting beyond a year. To place Snape in such a position might have risked his safety, and Dumbledore would not have permitted such a risk, in case he required Snape's aid against Voldemort again. When Dumbledore was infected by the curse on Marvolo Gaunt's ring, he asked Snape to kill him. Knowing that such an act would vilify Snape beyond any doubt in the mind of the Wizarding public, Dumbledore allowed Snape the position because he would have to leave immediately anyway. Snape first met Petunia Evans during their childhood. She was the sister of Lily Evans, but Petunia was a Muggle, unlike her sister. Snape and Petunia strongly disliked each other, from the first moment they met. Petunia, who was contemptuous of anything out of the ordinary, viewed him with disdain because of his poor economic status and because he was such an oddball. Snape, on the other hand, regarded her balefully because she was a Muggle, and because she made disparaging comments about his clothes. Harry Potter: "Severus Snape wasn't yours. Snape was Dumbledore's. Dumbledore's from the moment you starting hunting down my mother. And you never realised it, because of the thing you can't understand ... he loved her for nearly all of his life. " Lord Voldemort: "It matters not! It matters not whether Snape was mine or Dumbledore's, or what petty obstacles they tried to put in my path! I crushed them as I crushed your mother, Snape's supposed great love!" In his days as a Death Eater, Snape was one of Lord Voldemort's most trusted and devoted servants. In 1980, Snape overheard part of a prophecy foretelling Voldemort's downfall. After being caught, Snape hurried to tell Voldemort what he had heard, unaware that his information was incomplete. However, he turned against the Dark Lord the moment he decided to target Lily Potter. When Voldemort returned to physical form in 1995, Snape ostensibly returned to him as a spy for the Order. Using Occlumency, Snape was able to close his mind, hide his true allegiance and maintain his cover as a faithful Death Eater. Snape was one of the only Death Eaters to have the Dark Lord's complete trust and, after he murdered Albus Dumbledore, he became Voldemort's most trusted adviser. He was held in such high regard that Voldemort accepted making him Headmaster of Hogwarts after seizing power. However, Voldemort coldly had his snake, Nagini, kill Snape in 1998, believing it would make him the true master of the Elder Wand. Although he claimed he regretted its necessity, he felt no remorse over murdering one of his most faithful advisors. After Snape's death, Harry Potter revealed to Voldemort that Snape had managed to deceive him for years because he acted entirely out of love for Lily Evans — something Voldemort neither understood or cared about. Indeed, at the time Snape asked Voldemort to spare Lily's life, he erroneously believed that Snape's interest in her was merely physical, and callously stated that there were other women "of purer blood, worthier of him" after her death. It is possible that part of the reason Voldemort put so much trust in Snape was because he identified with his background. Both were the only children Muggle fathers and pure-blood mothers (Voldemort: Tom Riddle Sr. and Merope Gaunt; Snape: Tobias Snape and Eileen Prince). Both Muggle men had nothing but hatred for their sons and wives and neglected their sons and yearned to shed their unhappy beginnings. Voldemort's father had abandoned his wife when she was pregnant with their son, while Snape's father was abusive towards his wife and their young son. Both Riddle and Snape claimed greater identification with their maternal lineage than their paternal ancestry—the Gaunts and Prince family, respectively. Both men grew up in poverty—Voldemort grew up in an orphanage, while Snape lived in Spinner's End. In addition, both Riddle and Snape were sorted into Slytherin, and were known for their intelligence. Both men had a passion for the Dark Arts and blood purity as childhood, and bestowed grandiose titles onto themselves (Riddle was known as Lord Voldemort, while Snape adopted the name the Half-Blood Prince). Both saw Hogwarts as sort of a real home as opposed to their default home. Voldemort may have seen him as a trusted Death Eater who shared the same hatred for his father as he had for his own. The only thing that differs between Voldemort and Snape's relationships with their fathers is murder; Voldemort had murdered his own father while Snape did not murder his. However, there were differences between Snape and Voldemort. Snape had a secret love for Lily Evans for most of his life, which motivated him to defect from the Death Eaters and protect her son after her death at Voldemort's hands. Voldemort, on the other hand, disregarded love as a weakness that was beyond his comprehension, and had allegiance to only himself. This had coincidentally led to his own undoing. In addition, unlike Voldemort, Snape had known about the existence of the wizarding world before he was eleven years old (likely due to the fact that Snape's mother was actually present in his childhood). Snape possessed the ability of independent flight, which was presumably taught to him by Lord Voldemort as he displayed the same ability during the Battle of the Seven Potters. This shows that Lord Voldemort had a great deal of trust in Snape as he taught him a very unique ability, something he might not have done with any Death Eater. Snape appeared to be on good terms with the Malfoy family. Lucius Malfoy was a Slytherin prefect when Snape began attending Hogwarts, and the two ran in the same social circles, which included other future Death Eaters. Lucius continued to think and speak well of Snape later in life. Perhaps because of this, Snape also favoured Lucius's son Draco. Draco seemed to look up to Snape, once sycophantically saying that he would make a far better Headmaster than Albus Dumbledore. However, after his father's imprisonment in Azkaban following the Battle of the Department of Mysteries, Draco came to resent and mistrust Snape, suspecting that he was trying to usurp his father's place in the Death Eater ranks. He refused Snape's repeated offers of help with the task Lord Voldemort assigned him in his sixth year. Narcissa Malfoy, on the other hand, begged Snape to assist Draco in his task to assassinate Dumbledore, fearing that her son was being set up to fail. She ignored the warnings of her sister, Bellatrix Lestrange, who did not trust Snape, and had him make an Unbreakable Vow to help Draco and take over the task should he fail. This speaks highly as to the trust and respect the Malfoys had for Snape. Unlike her Malfoy relatives, Bellatrix Lestrange invested none of her faith in Snape. She saw right through his triple agent charade, even though Lord Voldemort could not. Part of the reason for this may have been Snape's half-blood status and his avoidance of imprisonment in Azkaban, while she was incarcerated there for years. Given Bellatrix's obsessive, slavish love for Voldemort, she may have envied the trust the Dark Lord put in Snape, whom she considered her inferior in both blood and service. She was suspicious when Snape did not immediately return to Voldemort after his rebirth, and why he never took an opportunity to kill Harry Potter when, as one of the boy's professors, he had easy access to him. Bellatrix was uneasy speaking openly about things around Snape, and tried to discourage her younger sister from asking him for help with Draco's task. Snape, on the other hand, seemed to regard Bellatrix coolly. He had very little patience for her dramatics and tendency towards hysteria. He even took the opportunity to mock her for her struggle against the six teenagers from Dumbledore's Army during the Battle of the Department of Mysteries, and that she was losing her status in Voldemort's eyes. Snape: "...don't see what there is to fuss about, Igor." Karkaroff: "Severus, you cannot pretend this isn't happening! It's been getting clearer and clearer for months, I am becoming seriously concerned, I can't deny it—"
Snape: "Then flee. Flee, I will make your excuses. I, however, am remaining at Hogwarts." Snape and Karkaroff had a little bit of history with each other from the First Wizarding War. Karkaroff was captured by Alastor Moody and during his trial, in a desperate attempt to avoid going to prison he gave to the Ministry many names of Death Eaters, including Snape. However, at the time he was not aware that Snape was a double agent. He desperately tried to convince the court that Snape remained guilty despite the judge telling him Snape was cleared. During the Triwizard Tournament, when Karkaroff's and Snape's Dark Marks were burning stronger, Karkaroff told his worries to Snape, who expressed little concern to him. As the year progressed, Karkaroff continued to pursue Snape over the issue, to which Snape became increasingly annoyed, and even started to evade him. Severus became a member of the Death Eaters after Hogwarts. During his time at school, he was member of a "gang of Slytherins that would later become Death Eaters". This gang included Avery, Mulciber, Evan Rosier and Wilkes. Lily Evans could not understand how he could be friends with them, as they had an "evil sense of humour". Rosier and Wilkes were killed by Aurors after the First Wizarding War; Mulciber was captured (but later escaped), while Avery managed to defect. However, it is possible that none of them were able to die or be imprisoned for Voldemort. Other Death Eaters Snape knew were Amycus and Alecto Carrow, two siblings. Amycus and Alecto were Deputy Headmasters at Hogwarts, at the time Snape was Headmaster. They were both sadistic, and they liked to torture the students who opposed them. They also ordered the students to practise the Cruciatus Curse on punished students. Death Eater Yaxley appeared to be friendly with Snape, too. Along with Fenrir Greyback, they seemed to fear Snape's abilities, as they instantly stood down when he approached to kill Dumbledore, despite Draco being tasked with the job. Furthermore, Snape knew the extremely loyal Death Eater Barty Crouch Jr.. For many years, it was believed that Barty Crouch was dead. However, he escaped from Azkaban and planned to send Harry Potter to Voldemort, who would be reborn. Snape, along with Dumbledore and McGonagall, saved Harry from Crouch while he was trying to kill Harry. Snape was surprised that Crouch was still alive. Later, the Death Eater was given the Dementor's Kiss. Other known Death Eaters were Antonin Dolohov, Augustus Rookwood, Nott, Crabbe, Goyle, Walden Macnair, Jugson, Thorfinn Rowle, Gibbon, Rosier, Avery, Mulciber, Lestrange, Travers, Selwyn, and Rodolphus and Rabastan Lestrange. Rodolphus and Rabastan were the only ones who tried to search for Lord Voldemort after the first defeat, along with Bellatrix and Barty Crouch Jr. During the Second Wizarding War, all those Death Eaters were either killed or imprisoned, after Voldemort's final defeat. It is unknown how the surviving Death Eaters reacted - either as a group or as individuals - to the revelations of Snape's true loyalties. Neville Longbottom was perhaps one of the worst Potions students Snape ever taught. As such, Snape was especially cruel to him and often made a point of ridiculing his failures in class. On one occasion, Snape threatened to test Neville's Shrinking Solution on his pet toad, despite the fact that the potion would be poisonous if not brewed correctly. Even outside of his own classroom, Snape did not hesitate from offering harsh opinions of Neville. This treatment made Neville extremely nervous to be around Snape, and further contributed to his poor performance in Potions. Neville admitted in 1993 that Snape was his greatest fear, and, predictably, Snape was the form Neville's Boggart took at that time. Soon Snape heard about Neville's boggart and treated him, if possible, even worse than he usually did. However, in 1996, Snape alerted members of the Order of the Phoenix, in order to save Neville, Harry and their friends from Death Eaters. Although Snape helped save Neville's life, he continued to treat him poorly in school. Neville was surprised that Snape killed Dumbledore but did learn the truth later. Minerva McGonagall was generally on good professional terms with Snape. However, seeing as Snape was the Head of Slytherin House, while McGonagall was the Head of Gryffindor House, there was some antagonism between them, as Snape usually teased McGonagall when Slytherin had more points than Gryffindor. McGonagall was also wary of the fact that Snape was once a Death Eater. However, she trusted him because she knew that Dumbledore trusted him, too. McGonagall, like Snape, was very strict, but much more fair, as Harry Potter noted. Her trust of Snape evaporated after Dumbledore's murder. Furthermore, when Snape became Headmaster of Hogwarts, McGonagall tried to oppose him and the Carrows, without knowing that Snape was trying to protect the students from the Carrows, too. It is unknown how she reacted when she learned about his true loyalties, but it is likely that she forgave him. She permitted his portrait to be hung in the Headmaster's office, at Harry's request. Snape was respected professionally among his colleagues at Hogwarts. When Snape killed Dumbledore, however, the entire staff was shocked. In 1998, Flitwick and Sprout, like many other teachers, tried to oppose Snape and the Carrows, and they were among the ones who chased Snape out of Hogwarts before the battle. Rubeus Hagrid was no friend of Snape's but trusted him, mainly because Dumbledore trusted him. Both Hagrid and Snape became members of the first and second Order of the Phoenix, and Hagrid, like Flitwick and Sprout, was shocked after Dumbledore's death, though all three learned the truth about Snape's loyalties after the Battle of Hogwarts. Snape disliked most of the Defence Against the Dark Arts instructors, such as Quirinus Quirrell, Gilderoy Lockhart, Remus Lupin, and Dolores Umbridge. Though this was at least partially out of his own desire to teach the subject, he had legitimate reasons to dislike them, as Quirrell was an agent of Lord Voldemort, Lockhart was a fraud, Lupin had acted as a bystander to, if not directly participating in, much of the bullying Snape faced in his school days, and Umbridge was obviously a corrupt woman who wanted the entire school under her thumb. The only Defence Against the Dark Arts professor Snape refrained from displaying disrespect to was Bartemius Crouch Jr. impersonating Alastor Moody, the toughest Dark Wizard hunter the Ministry ever had. Snape seemed on good terms with Argus Filch, the caretaker, who respected Snape, and like him, disliked most students at Hogwarts. It is unknown how Filch reacted when he learned that Snape killed Dumbledore. Snape was not popular among the majority his students at Hogwarts. His having been bullied so much as a child may have fuelled his oppressiveness as a teacher, and his dislike of children in general. He especially enjoyed punishing and taking points from the Gryffindors. Snape appeared to favour the students in his own House, particularly Draco Malfoy. They were the only ones with whom he was lenient in class, to the point of unfairly. However, he was somewhat irritated when Crabbe and Goyle did not pass their Potions exams, and ended up giving them detention for failing their O.W.L.s. Although he disliked most students, Snape did everything he could to protect them from Voldemort's control of Hogwarts, while Alecto and Amycus Carrow were appointed at the school. Hermione: "He's on our side now." Fred: "He's still a git." Snape's relationships with some members of the Order of the Phoenix have already been established: Lily Evans, the Marauders, Albus Dumbledore, Harry Potter, Ron Weasley, Hermione Granger and Minerva McGonagall. Snape was not particularly gracious towards Nymphadora Tonks, probably because she was so close to Remus Lupin. When they met at school in 1996, he maliciously said "I was interested to see your new Patronus. I think you were better off with the old one... the new one looks weak." Snape did, however, respect Tonks' abilities. Tonks was shocked when Snape killed Dumbledore and never learned that Snape was on their side, as she was killed by Bellatrix Lestrange during the Battle of Hogwarts. Snape had a mixed relationship with the Weasley family. While he disliked their children, he seemed to be on civil terms with Arthur and Molly. However, when he murdered Dumbledore, the Weasley family obviously turned against him. Snape also accidentally cursed off George's ear, during the Battle of the Seven Potters, while he was trying to hit another Death Eater. The Weasley family learned that Snape was on their side in 1998, except Fred, who was killed in the Battle of Hogwarts. He also did not much care for fellow member of the Order Mundungus Fletcher, who was also a thief. In 1996 he was arrested for impersonating an Inferius. When Seamus Finnigan asked Snape about it, he answered that the "Inferius" was, in fact, a smelly sneak thief named Mundungus Fletcher. It is most likely that Mundungus learned that Snape was on their side after the Second Wizarding War. It is likely that the members of the Order who survived the Battle of Hogwarts were told by Harry of Snape's true loyalties. 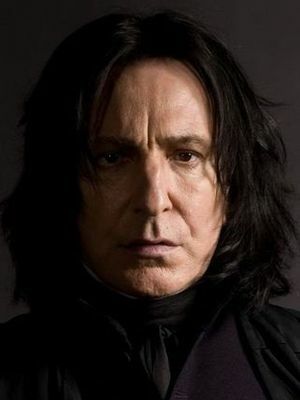 Severus means "stern" in Latin, and is the root of the English word "severe". It was a Roman cognomen, common to members of the Severan dynasty of Emperors, including one notorious for his harsh persecution of the early Christians. Septimius Severus, also known as Severus, was Roman Emperor from 193 to 211. As a young man he advanced through the customary succession of offices under the reigns of Marcus Aurelius and Commodus. Severus seized power after the death of Emperor Pertinax in 193 during the Year of the Five Emperors. After deposing and killing the incumbent emperor Didius Julianus, Severus fought his rival claimants, the generals Pescennius Niger (possibly Phineas Nigellus Black) and Clodius Albinus (Albus Dumbledore). Niger was defeated in 194 at the Battle of Issus in Cilicia. Later that year Severus waged a short punitive campaign beyond the eastern frontier, annexing the Kingdom of Osroene as a new province. Severus defeated Albinus three years later at the Battle of Lugdunum in Gaul. J. K. Rowling has said that she took the surname Snape from an English village in Suffolk. There is also a village called "Snape" in Yorkshire, which was rebuilt by the aforementioned emperor, Septimus Severus. Snape is also an English verb meaning "to be hard upon, rebuke, snub", derived from the Old Norse "sneypa", "to outrage, dishonour, disgrace". Interestingly J.K. Rowling used to live in Clapham Junction at the time of her starting to write the first book. Opposite Clapham Junction station is a road named Severus Road, though it is unknown if this is simply a coincidence. Severus Snape is portrayed by British actor Alan Rickman in all of the film adaptations, making him one of the 14 characters to appear in all eight film adaptations. He was Rowling's first choice for the role. It appears that he played his part very well. Rupert Grint admitted to being afraid of him in an interview. Snape came very close to receiving Order of Merlin, First Class for subduing Sirius Black. Snape's character was loosely inspired by an unpleasant chemistry teacher J.K. Rowling had in high school. Rickman had conversations with Rowling about his character and is one of the few Harry Potter actors that she spoke to prior to the completion of the book series about the future direction of the character. "He knew very early on that he'd been in love with Lily," said Rowling. "He needed to understand [...] where this bitterness towards this boy who's the living example of her preference for another man came from." Rickman used this knowledge of Snape's ultimate loyalties throughout the films by deciding how to play certain scenes, deliver specific lines, or using body language to convey specific emotions. When the directors of the films would ask him why he was doing a scene a certain way or delivering a line in a specific manner, Rickman would simply reply that he knew something they did not. Much like Gilderoy Lockhart, Snape's character is altered to appear more likable in the movies than in the books. He does not openly insult or harass his students, with the exception of shoving or whacking Harry and Ron on the head to make them focus on their studies, and once when Ron sniggered when Umbridge was embarrassing him. He is notably nicer to Harry, or just less cruel, than in the books, such as wishing him good luck on his first Quidditch match and even flashing him a slight smile, along with a sarcastic compliment on Harry's defeat of the mountain troll earlier that year. He initially defended him, Ron and Hermione in the second movie from Filch's accusations when Mrs Norris was petrified, though he did note that there was a set of suspicious circumstances. Additionally, in the final film, when he talks with Dumbledore after revealing the Prophecy to Voldemort, he asks him to protect the entire Potter family, rather than only Lily, without Dumbledore having to prompt him to do so. Snape is also slightly more laid back and less antisocial in the movies. An example is when, in the third movie, he gestured Harry out of the Shrieking Shack with his head rather than verbally instructing him to leave. In Harry Potter and the Deathly Hallows: Part 2, Snape's death takes place in the school's Boathouse rather the Shrieking Shack. The art director of the series, Andrew Ackland-Snow, said in an interview with Cine Premier Mexico: "We wanted to change a bit where Snape dies. In the book, he dies in the Shrieking Shack, and we wanted to get him out from, not a conventional interior, but from that kind of box, to do it in a more dramatic atmosphere. We asked [Rowling] if she agreed for that to happen in there and she loved it ... Snape dies in a extremely good way, I gotta say." Actor Tim Roth was initially offered the role, but turned it down to work in Tim Burton's Planet of the Apes (2001). Rickman was cast later on. According to Rowling, Dumbledore never did anything about Snape's behaviour in class because "Dumbledore believes there are all sorts of lessons in life... and horrible teachers are one of them." In the film adaptations, Severus appears to be rather older than he is in the original books, being in his early thirties at the time of Harry Potter and the Philosopher's Stone. Alan Rickman was fifty-four when he was first cast. In the last film, Steve Kloves added a new scene to Snape's memories in which Snape visits Godric's Hollow shortly after Voldemort's arrival and collapses when he finds Lily's lifeless body among the wreckage in the house. J. K. Rowling has said that she never really thought of Snape as being a hero. Though he was immensely courageous, he was also quite spiteful and a bully. Alec Hopkins plays a young Snape in Order of the Phoenix and Benedict Clarke plays an even younger Snape in Deathly Hallows: Part 2. In the scene in the final film in which Snape speaks with Dumbledore about the favour to hide the Potter family and Snape promise to do 'anything' in exchange, Alan Rickman had a slightly different look than we see him in later in the memory and the present time. This is to show that Snape had grown older from that point. In the PS1 version of Philosopher's Stone, Snape does indeed say "There is something very special in the Forbidden Corridor that I've had my eye on for some time. We can't let anyone interfere with my plans. Can we, Mr. Filch?" as to confuse the player about who is looking for the stone. However, this could be a hidden way of saying that he's protecting the stone from Quirrell. The chapter illustrations by Mary GrandPré in the American editions depict Snape with a thin goatee. Snape attended Hogwarts exactly twenty years before Harry Potter. It is said by J.K. Rowling that Lily Evans may have grown to love Snape romantically if he was not so drawn to the Dark Arts. In the book, Nagini kills Snape by sinking her fangs into him after having been released from her protective bubble. In the film adaptation, Lord Voldemort slashes Snape's throat, then orders Nagini to finish him. Surprisingly, less blood is shown than in the book. Phineas Nigellus Black was cut from the film adaptations of Harry Potter and the Deathly Hallows. Hence, it is unclear how Snape located Harry and Hermione in the Forest of Dean. However, in Harry Potter and the Deathly Hallows: Part 2, as Neville is leading Harry, Ron and Hermione in the secret passage Neville states that they "hardly see him," so in that time he could have searched over Britain to find them and give them the sword. Interestingly, Snape is the catalyst for the entire series, since it was he who told Voldemort of the prophecy and begged Voldemort to spare Lily, enabling her to sacrifice her life for Harry, thus enabling the protection that protected Harry for so long and ultimately led to Voldemort's death. Snape is the only Death Eater who could conjure a Patronus. In Harry Potter and the Prisoner of Azkaban (film), a scene with Snape was added when Lupin turned into a werewolf: instead of being unconscious as he was in the book, Snape regains his consciousness and goes to look for Harry with the intent of punishing him for his attack on him. When he hears Lupin roaring behind him and turns to find him transformed into a werewolf, Snape proves his great courage by shielding Harry, Ron and Hermione with his own body, taking a vicious slash from Lupin as a result. In Harry Potter and the Deathly Hallows: Part 2, while Harry is facing Voldemort, he calls Snape "Professor Snape". This is the first time that he addresses him with the title other than in his presence which shows that he has forgiven and even come to respect Snape for his courage and his sacrifices. One notable factor of the books was when Harry was speaking about Snape with Dumbledore, the latter would always ask Harry to address him as "Professor Snape". Snape was only 38 when he died, yet Alan Rickman looks much older. This could be due to the sheer level of emotional stress that Snape underwent in his life, which has been proven to affect a person's apparent age. Amongst Severus Snape's possessions that he kept at his home was a curious object called a Dark Curio, though the object was only ever named such in the original script for Harry Potter and the Half-Blood Prince. When Jany Temime took over the role of costume designer for the films, many of the characters' wardrobes were re-designed, but Snape's costume remained unchanged throughout all eight films, as Temime thought the existing costume, consisting of a black robe, worked well with Snape's character. Snape once made an appearance in an episode of the TV show The Simpsons, in which he was voiced by actor Benedict Cumberbatch. It was because of Snape that Harry Potter became aware and practical of the Disarming Charm (Expelliarmus). Snape used it in the introduction of the Duelling Club while duelling with Gilderoy Lockhart. He said that students should learn to disarm their opponents. The first thing that Snape asks is: "Potter! What would I get if I added powdered root of asphodel to an infusion of wormwood?" According to Victorian Flower Language, asphodel is a type of lily meaning 'my regrets follow you to the grave' and wormwood means 'absence' and also typically symbolized bitter sorrow. If you combined that, it meant 'I bitterly regret Lily's death'. ↑ Snape was called this in this broadcast of Potterwatch. ↑ In a YouTube video of the Pottermore press conference on June 23, 2011, a preview of the website showed that Lily and Petunia were from Cokeworth, thereby confirming Spinner's End is located in Cokeworth as well. This page was last edited on 3 July 2015, at 13:16. This text is available under the GNU FDL and may have been adapted from the Wikipedia article about Severus Snape (history).